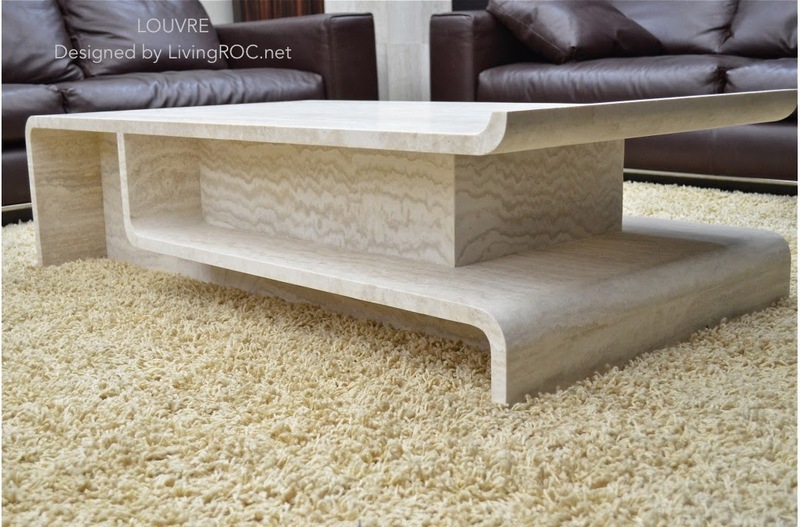 LivingRoc USA-The Blog: Welcome to our Living Room! Whether you are entertaining, enjoying a lazy afternoon, or having a splendid evening with your family LivingRoc invites you to imagine how natural stone can enhance your living space. Let yourself succumb to the charm of ANTICA. Carved by water-jets ANTICA design is gorgeous! 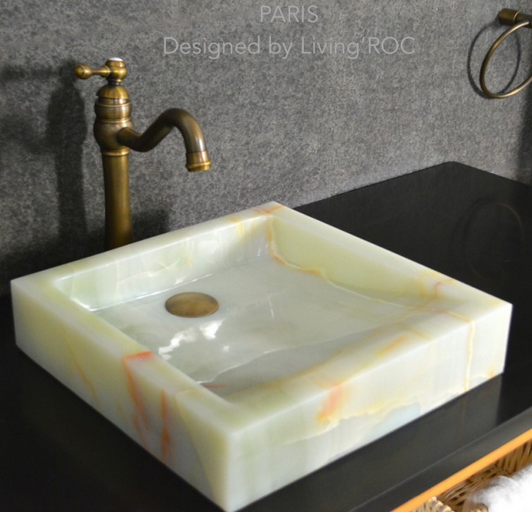 The use of marble is carefully chosen at LivingRoc. 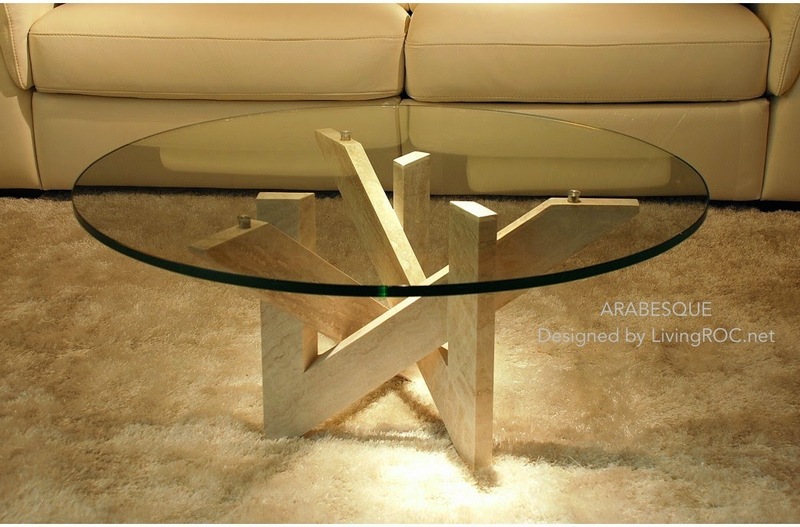 ARABESQUE model is a round natural stone coffee table. With very slick, pure lines you will surprise your guests with its unique design. 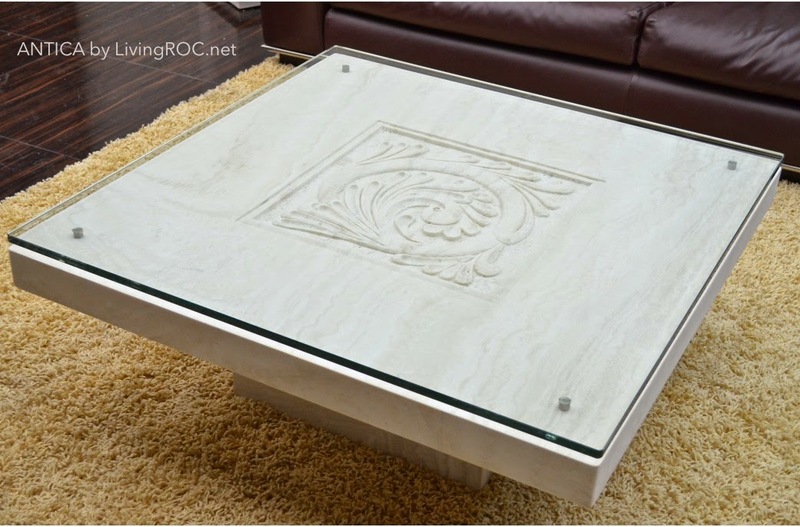 We invite you to look into all of our Living room tables that could enhance your home.